For Mattie's birthday we went to Sea World, and since her good friend Delainey also has a Sea World pass for the year, we brought her along to help celebrate! 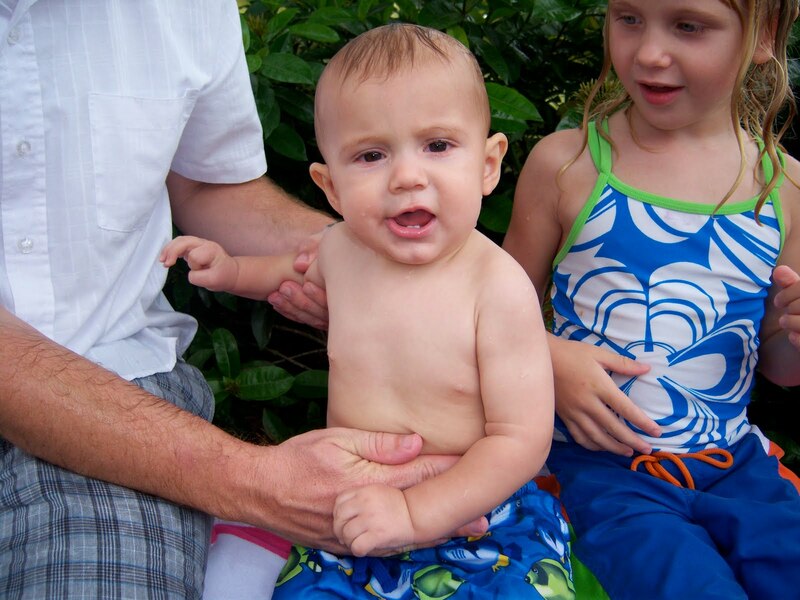 It was a very hot, but fun day. 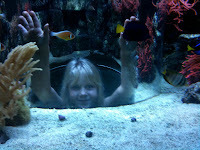 The girls had a great time going through the new aquarium while Matt rode the new Manta ride. 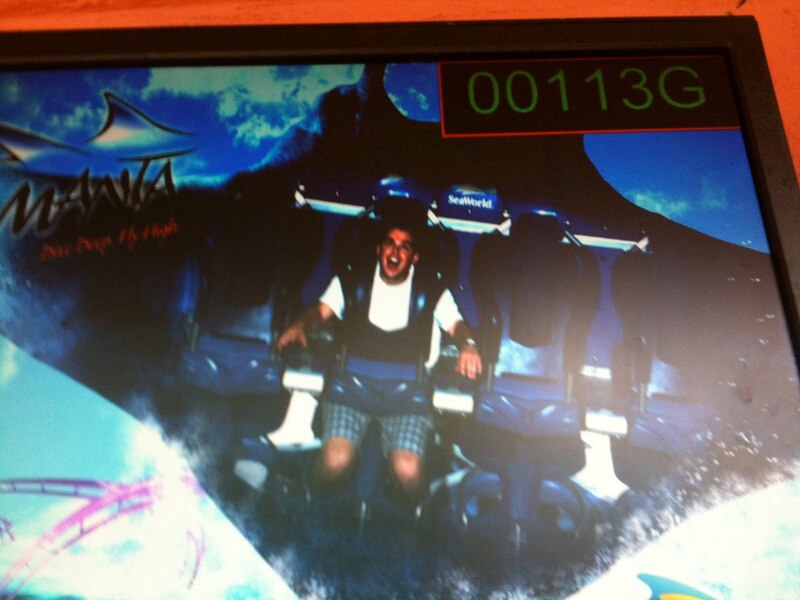 Its a laying down roller coaster which is suppose to simulate you being a manta ray! Matt says its very fun, but I'll have to take his word for it, since I can no longer ride roller coasters without getting sick! The kids played in the water park area, which Reddin quite enjoyed. 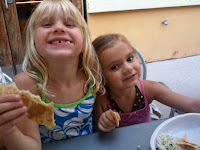 The girls also rode many of the rides in the kiddie area. 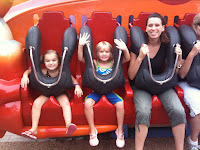 I rode one of Mattie's favorites with her, the crab (drop down) ride! 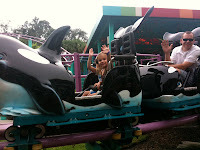 Matt rode the Shamu roller coaster with the girls while I took a picture and hung out with Grandma and Reddin. But I think the best part of the day for Mattie was riding the grown-up ride Journey to Atlantis! 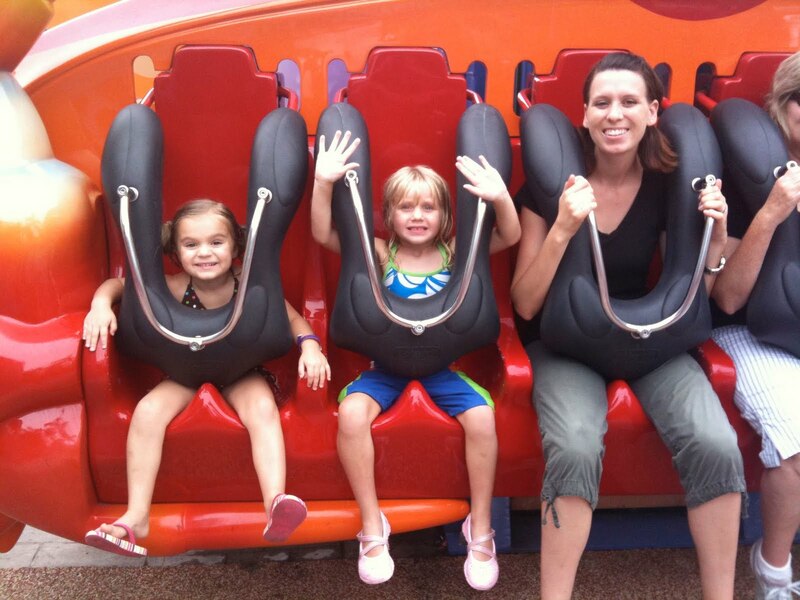 She has waited a LONG time to be tall enough to ride it, and boy was she excited. 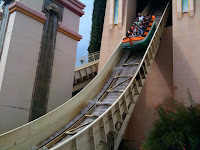 I thought maybe she would get scared of the big drop, but she LOVED it! She was a little scared of the middle part of the ride, but the drops were her favorite part. She asked to ride it a couple of times, and since there was no wait, I rode it with her like 3 times in a row. On the last time going up the big climb for the big drop, she put her little arms up in the air! I was surprised, because I remember it taking me forever to get the courage to do that growing up. And she left those arms up in the air for the whole drop down! 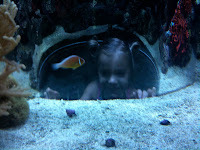 I think that she is going to be our little thrill seeker, like her daddy. 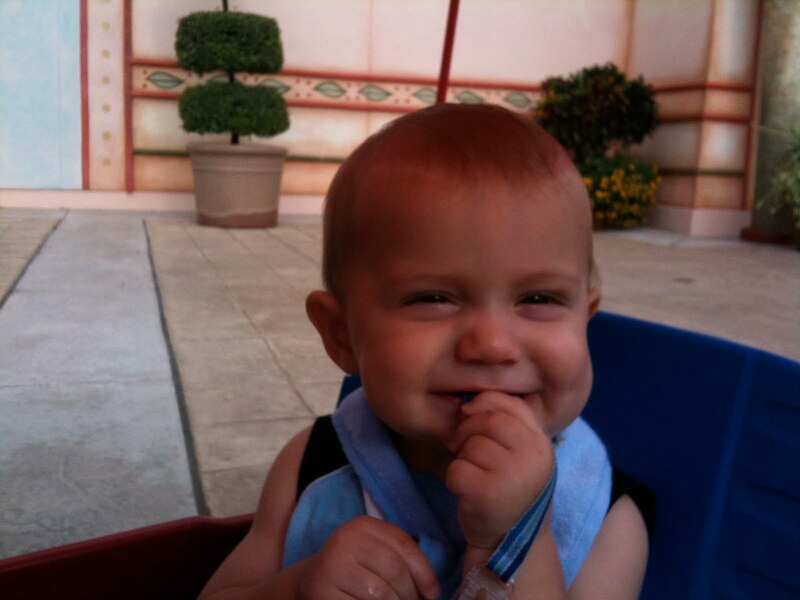 And here's a cute picture of Reddin taken while Mo and I were riding Journey to Atlantis. Look at the sweet face! 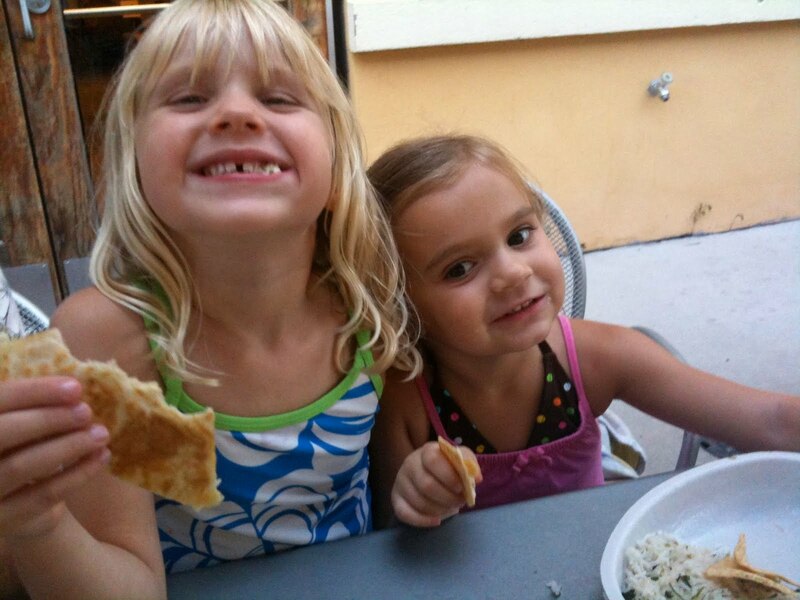 We left Sea World and stopped at Chipotle for some dinner. Yum! I love their chicken tacos. Overall it was a very fun day for Mattie and our family. Did I ever mention how much I love living in FL?! Its so fun to take advantage of all our FL resident discounts and to live close to so many fun things! You DO make Florida a very tempting place to live! Looks so fun! 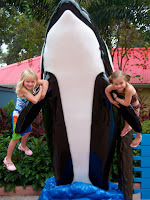 I am dying to go to Seaworld. That sounds like so much fun! 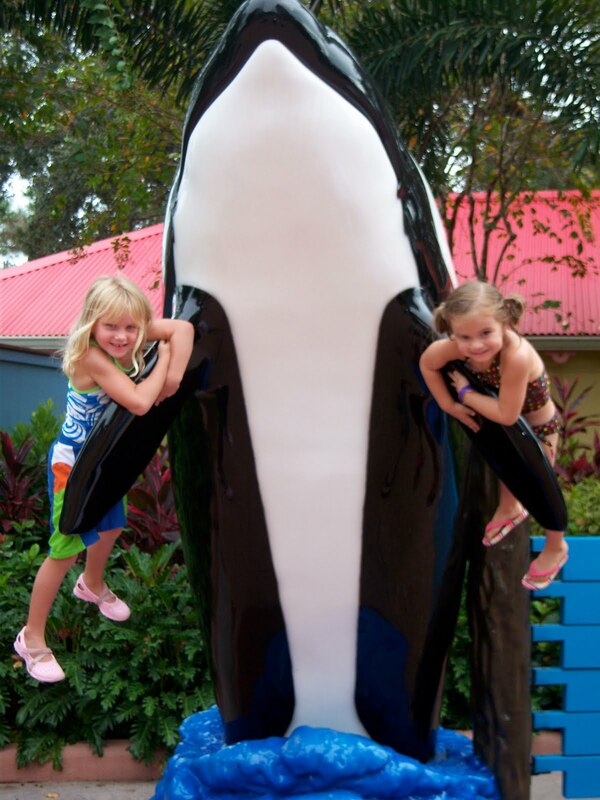 I miss Sea World. Happy Birthday Mattie :)!!! Glad you had a blast a Sea World! I can't ride roller coaster's either I get sick on them as well! 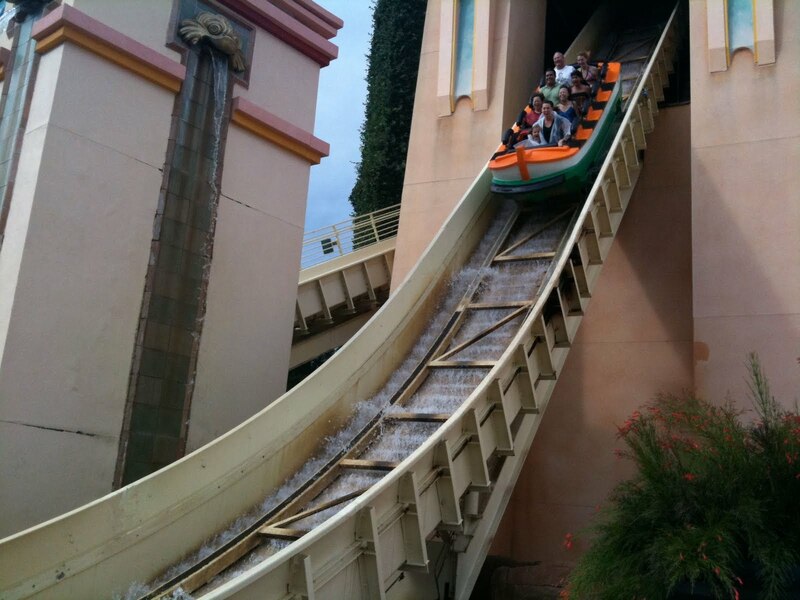 That's an awesome shot on the Atlantis ride!